A new year with new hopes & opportunities are knocking at your door. And, it is the time to make a new resolution. You can make a resolution for your small business too - to keep your accounting books organized and clean for the next financial year. Since money is the lifeblood of your business, it makes sense to look after its financial health on a timely basis. A healthy cash flow is a key to your business. So, make sure to keep it in a proper shape. Singapore accounting services are gearing up to help the small businesses in fulfilling their new year's resolution. Small business owners often fail to understand the fact that wearing many hats on their own can stall the growth of the business. 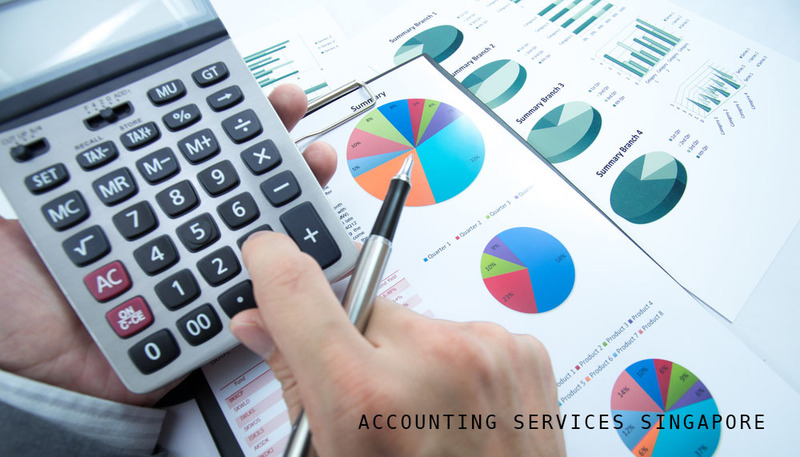 Similarly, handling accounting services Singapore is not an easy nut to crack, it requires an in-depth knowledge of Singapore accounting standards, time and resources. Many businesses failed to achieve their goals and ended up in ceasing their operations in initial years of business only because of their lack of sightedness towards outsourcing. Initially, small business entrepreneurs had seen outsourcing to be a strategy reserved for big giants and corporates. But emerging technologies have made it an accessible tool for small and medium enterprises as well. And they soon realized that outsourcing could make a great impact on the growth, productivity, and bottom line of every business, regardless of size, shape, and industry. It is apparent that when a business outsources its non-core tasks like accounting services to a third party firm, the owner gets more time to focus on generating revenue. Essentially, Singapore accounting firms are striving hard to assist as many small businesses as possible in enhancing their efficiency. What are the ways to whip the business' finances into shape? This article is outlining the various ways to get your business' finance in shape as the new year rolls in. A little effort may help you boost the bottom line of your business in the next year. By reconciling your account, you will be able to keep close tabs on your account's balance. It will help you detect errors, fraud, and irregularities. Make sure to go through the invoices, sales receipts, and bank account statements. Use of an advanced accounting software could make the job easy and error-free. What is the growth rate of my business? How did my annual revenue compare with previous year? How is the sales graph in last financial year? How far have you achieved the goals of last year? What are the findings of your financial analysis of last year? Tax laws of Singapore Authority (IRAS) keep on changing with times. You must make sure to keep pace with the changes in latest tax tables and laws. Take advice or guidance of an expert from Singapore accounting firms and understand how the new changes might affect your business operations. Be sure to update the payroll software of your business as per the new tax laws. It helps you to keep the payroll related information accurate and up to date. It is worth to note that payroll is an integral part of accounting services. Take the help of your accountant to know the important filing deadlines with Singapore authorities. Make sure you know when to file a tax return, GST, XBRL, Annual Returns with the respective authorities. You can set up the reminders and alerts for these obligations. An accounting firm ensures to take care of each and every aspect of your financial while complying with the laws of authorities. The accountants of these firms are highly experienced and adept in delivering high-quality accounting and finance services to their clients. They keep the books of accounts accurate, clean and updated on a timely basis. When you outsource your accounting task to them, you no longer need to worry about your financial aspect. You can rest assured that financial records have been maintained in the best manner. Timely advice and consulting services are being provided to make the clients aware of the areas where further improvement is required in business. It helps the business owners to stay motivated. Outsourcing has been proven to be the best way to keep the finances of your business in shape. Singapore accounting firms take care of A to Z tasks of their clients and help them keep their business thriving in an exponential manner. SBS Consulting has consistently been offering a plethora of accounting services to its huge clients base. It includes services like monthly/quarterly accounting, XBRL filing, preparation of Director's Report/compilation report, bookkeeping services, GST and so on. Apart from accounting, the firm also specializes in allied business services including company registration, corporate secretarial services, payroll and registered address services.